Filmmaker Wes Craven, the creator of classic horror franchises Nightmare on Elm Street and Scream, has died. Craven died on Sunday at his home in LA after battling with brain cancer, his family announced, according to The Hollywood Reporter. Craven wrote and directed the first Nightmare on Elm Street film, helmed the first four Scream movies and guided Meryl Steep to an Oscar nomination in Music of the Heart. The Last House of the Left was Craven's first feature film, which he wrote, directed and edited in 1972. He followed it up with another film, The Hills Have Eyes (1977), which he wrote and helmed. Craven is also credited for discovering young talents, who later came to be known as superstars like Johnny Depp, for A Nightmare on Elm Street, Sharon Stone in her first starring role for Deadly Blessing and Bruce Willis in his first featured role in an episode of the 1980s version of The Twilight Zone. Craven re-invented the youth horror genre in 1984 with the classic A Nightmare on Elm Street. The five Nightmare on Elm Street films were released from 1984-89. He co-wrote the script of the third instalment. His iconic Freddy Krueger character from the franchise horrified viewers for years. In 1996, Craven reached a new level of success with the release of his new horror franchise, Scream. Craven tried his hand at the drama genre and helmed the 1999 film Music of the Heart. His most recent written and directed film, My Soul to Take in 2010, marked his first collaboration with his wife, producer and former Disney Studios vice president Iya Labunka, who also produced Scream 4. 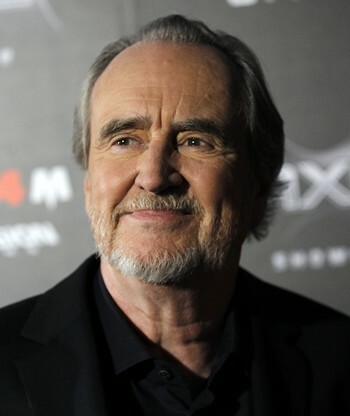 Craven directed several other thrillers-horror films including Swamp Thing in 1982, Deadly Friend (1986) and The People Under the Stairs (1991). He produced remakes of The Hills Have Eyes (2006) and The Last House on the Left (2009). He was also executive producing the new Scream series for MTV. According to a spokesperson of the network, the season finale of the series will pay tribute to the filmmaker. He is survived by Labunka, his sister Carol, son Jonathan, daughter Jessica, grandchildren Miles, Max and Myra-Jean, and stepdaughter Nina.